Do you prefer video tutorials? Check out the Joyful Development with Symfony screencast series. If you can't use the Symfony installer for any reason, you can create Symfony applications with Composer, the dependency manager used by modern PHP applications. On production servers, Symfony applications use web servers such as Apache or Nginx (see configuring a web server to run Symfony). However, on your local development machine you can also use the web server provided by Symfony, which in turn uses the built-in web server provided by PHP. 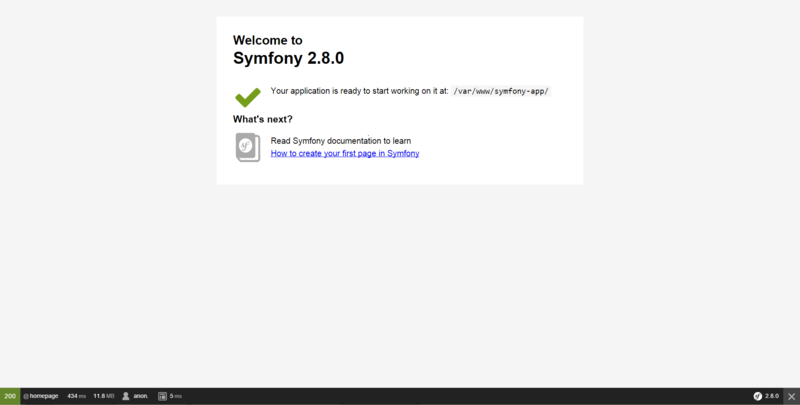 Symfony's web server is great for developing, but should not be used on production. Instead, use Apache or Nginx. See Configuring a Web Server. You've already downloaded the Symfony Standard Edition: the default starting project for all Symfony applications. You'll use this project throughout the documentation to build your application!